Luke Evans is another favorite actor of mine ever since I saw the remake of the 2010 film Clash of the Titans. A week or so ago, I decide to make a twitter fan account to support his talents and talk to other fans of his. That is when I found out that not too many people have even heard his name or knew who he is, especially in the United States. Here’s some information about this rising new star. He was born April 15,1979 in Pontypool, Whales, but he grew up in Abergargold, south of Whales. When he was seventeen he moved to Cardiff and won a scholarship to London Studio Centre and then graduated in 2000. From 2000-2008 Evans has starred in many London’s West End Productions including: La Cava, Taboo, Rent, Miss Saigon, and Avenue Q. He got his first film break in 2009 in the remake of Clash of the Titans which he played the god Apollo and then he had a small role in the film Robin Hood as a Sheriffs Nottingham’s thug. You see him in Immortals as Zeus, which is now on DVD / Blu-Ray and in The Three Musketeers as Aramis, which is coming out on DVD/ Blu-Ray on March 13, 2012. He has a new movie coming to theaters on April 27, 2012 called The Raven, he’ll be Inspector Emmett Feilds. He is currently in New Zealand filming the new Hobbit movies: An Unexpected Journey, There and Back Again. He is also the new face for Police brand, which are designer sunglasses. Here are some fan sites on twitter that brings excellent news about the talented actor Luke Evans: @LukeEvans_News, @LukeEvansItaly, and including mine @Lukes_Team. 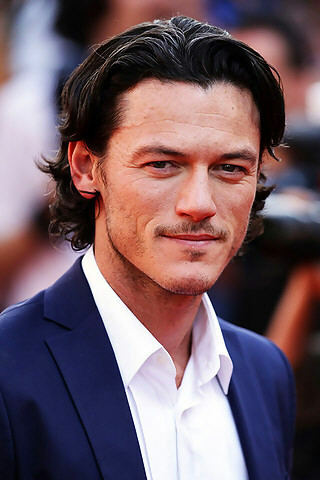 Comments for Luke Evans – A New Rising International Star are now closed.